Stevens-Duryea Co. 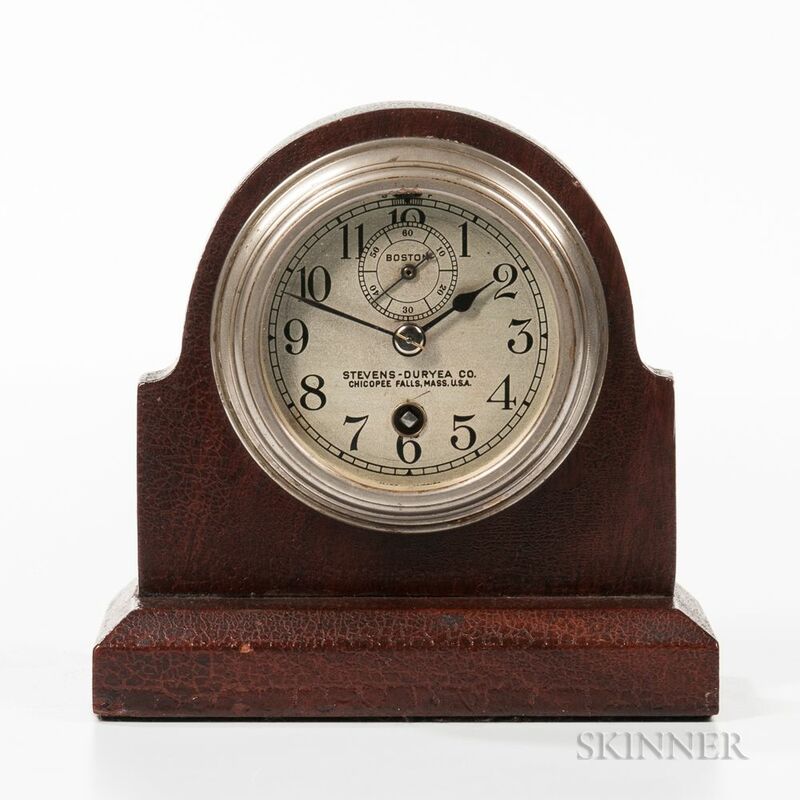 Automobile Clock, Boston Clock Co., 3-in. dia. case with silvered arabic numeral dial, seconds bit at 12 reading "Boston" and "Stevens-Duryea Co. Chicopee Falls, Mass. 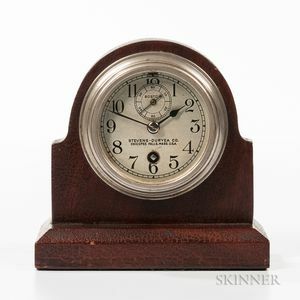 U.S.A" below, eight-day time-only movement with platform escapement marked "Boston Clock Co.," mounted in a mahogany display case.